Chalkboard surfaces are super simple to create with these special paints! Now you can turn almost anything into a chalkboard- walls, desks, paper, terra cotta pots, windows/picture frames, mugs and dishes- and so much more!! 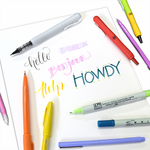 After your surface is painted and dry- use chalk markers to write, draw, or add some color! 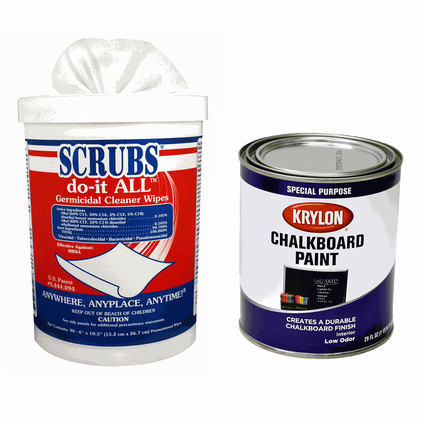 Use the cleaners to easily erase your chalkboard art and start the fun all over again!